Over the weekend, I had the pleasure of reading Stephanie Lauren’s The Taming of Ryder Cavanaugh – the latest in her Cynster series. 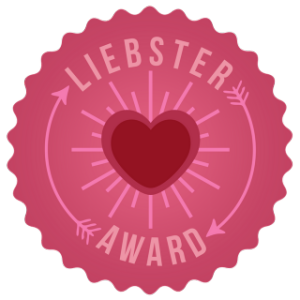 The 2nd in the Cynster Sisters duo, #1 New York Times bestselling author Stephanie Laurens thrills with this fantastic tale of a Cynster who’ll stop at nothing for love. Lady Mary has been waiting years for this opportunity. Not that her sister has thrown off her spinster ways and become betrothed, it’s finally Mary’s chance for true love. 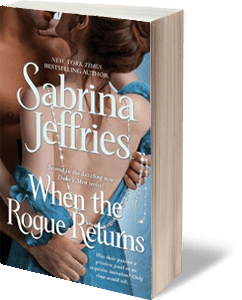 She knows exactly who she wants –and it’s not someone as wild, unmanageable, and sinfully seductive as Ryder Cavanaugh. But since this is not the case, I’ll have to satisfy myself by raving about The Taming of Ryder Cavanaugh! The novel starts off with Mary Cynster, the last of her Cynster generation, who’s looking for her “hero” while at the same time expecting to make a great match. Fortunately, she believes they will be one and the same. Luckily, Mary’s stubborn and determined enough to make this the case. Unfortunately, Mary has set her sights on Randolph – that’s right, Randolph not Ryder – Cavanaugh. Randolph is Ryder’s younger brother, close to Mary in age and a “hero” Mary believes has the potential to be taught how to be a great husband. You see, Mary has one primary defining trait – she’s bossy. Her family know it, the ton know it, Mary knows it and Ryder knows it. This is exactly why Ryder is determined to wed Mary himself. No, not because he likes getting ordered around – or so he thinks – but because he believes he can stand up to Mary. It takes some convincing and some luck, but Ryder is able to persuade Mary into choosing and marrying him over Randolph, his half brother. So how does Randolph feel about this? If your expecting a love triangle, then prepare to be disappointed. Randolph is very relieved to learn that Mary has married Ryder. One, because he’s too young to get married – he’s only twenty-four. And two, because Randolph, being an informed member of the ton knows how bossy Mary can be. Fortunately for Ryder, he adaptable to taking orders from his wife – a unique trait in an alpha male. But for Mary’s part, she’s also willing to compromise – a skill she has learned is necessary when dealing with alpha males of her Cynster cousins’ caliber. One of the best parts about reading this novel, was reading about a couple that learns to compromise and a female who is just a little more alpha than the hero when it comes to knowing her own mind and heart. Mary’s logical, open-minded and decisive. Once she’s made a decision or promise, she sticks to it. Plus, she’s perfectly capable to brining Ryder to his knees! It was refreshing to read about a couple who didn’t keep secrets from one another and were willing to listen to each other and work together to overcome their foes. So what to you think about the Cynsters? Who do you think the next novel should be about? 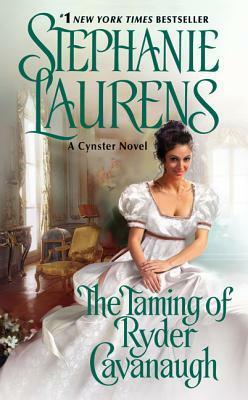 P.S: There are more Stephanie Laurens’ novel release details in her latest newsletter.